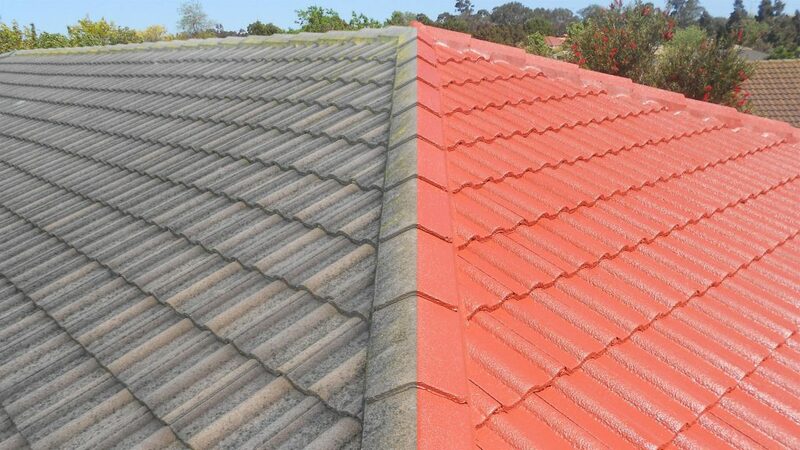 At Sydney Gutter and Roof Restoration we can restore your roof to its former glory for as little as 40% of the cost of a new roof. We specialise in roof repairs to aged, damaged or leaky roofs due to wear and tear or roofs that have been poorly installed. We can replace worn or broken roof ridges and roof tiles, rusty valleys, rusty box gutters, worn metal skillions, and worn or rusty skylights. We can provide cost effective solutions to problems with your roof and give advice in relation to the long term maintenance of your roof in future years. A thorough roof restoration includes a few steps which vary according to the roof type you have. Finally, a coat of cement tile sealer and two coats of Dulux 962 Roof Membrane will be applied so that your newly restored roof stays in top condition and looking amazing for years to come. This should take on average 2-3 days, one day for cleaning, rebedding and pointing, and one day for sealer and coating. Of course this is subject to weather conditions and the size of the roof. Yes, Sydney Gutter & Roof Restoration is fully licensed and insured. Certificates of currency may be viewed before any work order is signed. For more information or an obligation free quote call us on 1300 654 884 or contact us online via the form below.